With the Pan American Games in Toronto July 10-26 and Parapan American Games August 7-15, traffic in Toronto is going to be chaotic. In an effort to avoid the traffic congestion and other crowding issues caused by the games, many of our office-for-rent tenants are asking about working remotely from home or somewhere outside of the city. 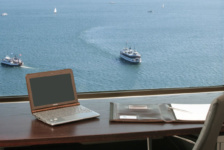 Because Telsec offers remote working services to their virtual office clients, we are able to offer our office-for-rent clients options to work away from the office, while their customers believe they are in the office and it is business as usual. Try doing that in a tradition rental office! Instead of having their postal mail and correspondence delivered to their office when they are away, some office tenants are opting to pay a small administrative fee to have their mail scanned and e-mailed to them – similar to services offered to mail-forwarding clients as an a-la-carte service. This can also be done for cheques – meaning that they can deposit their cheques using a photo image of the cheque and not have to wait for it to be mailed or forwarded to them. There are those of our office rental tenants who will continue to work from their office, but the great part is that after they close up shop for the day during the Pan Am Games, there are plenty of PANAMANIA, arts and cultural festival venues within walking distance of their office at 1 Yonge Street (in the Toronto Star Building). They will be able to see some of the more than 250 unique performances and exhibitions, both free and ticketed events. As well, some of our office clients with lake views are inviting friends and colleagues to watch the sailing competitions (taking place in the Toronto Harbour) from a ‘panoramic’ 18th-floor vantage point. Even virtual office clients who utilize our mail service or telephone/mail services can benefit from having their business address at 1 Yonge Street during the Pan Am Games. 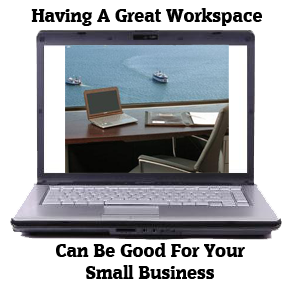 Virtual office clients can rent boardrooms and day offices at half the rate that a non-client would pay. Imagine inviting an out-of-town customer that is attending the Pan Am games or celebrations to a meeting before or after the event, at a convenient downtown location! It is also important to note that in another effort to keep more cars off the roads during the Pan Am Games, public transit will be free for ticket holders. The offer applies not only to the TTC, but also to GO trains and public transit systems in Peel, York, Oakville and other outlying areas where competitions will be held. Consider that, if you do not want to drive your car into the city during the Pan Am Games, but need to meet a customer at your office, you could buy a low-priced ticket for and event that takes place after your meeting – and be able to commute for free!